Good news for passengers of one of the mega-carriers of North America as American Airlines opens up access to the whole of Apple Music from this Friday onwards. This will give American's passengers the abilitiy to stream more than 50 million songs, playlists and music videos on any domestic flight equipped with Viasat satellite Wi-Fi. American is the first commercial airline to provide exclusive access to Apple Music through complimentary inflight Wi-Fi access. Wi-Fi access when flying on Viasat-equipped planes. American Airlines customers can enjoy the world’s most exciting new music and unique city-themed playlists for their journey in addition to Apple Music’s exclusive content such as in-depth artist interviews and today’s hottest sounds on the Beats 1 global livestream. 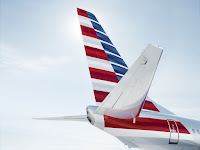 Visit applemusic.com/americanairlines to learn more and listen onboard starting Feb. 1st.